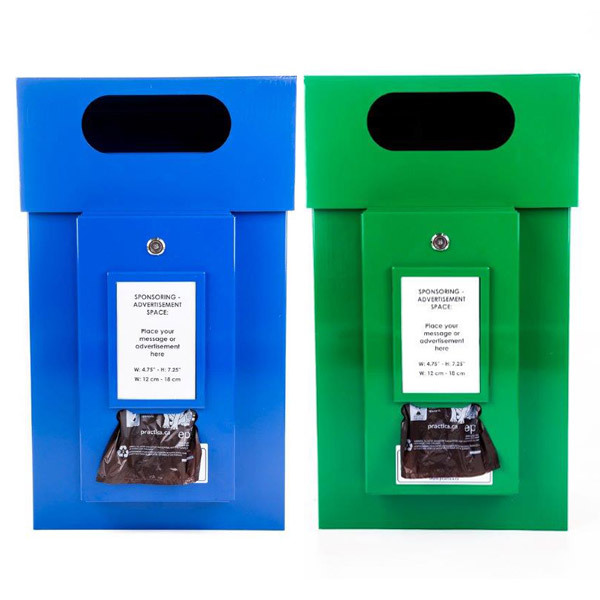 The dual purpose design provides both dispenser and receptacle. 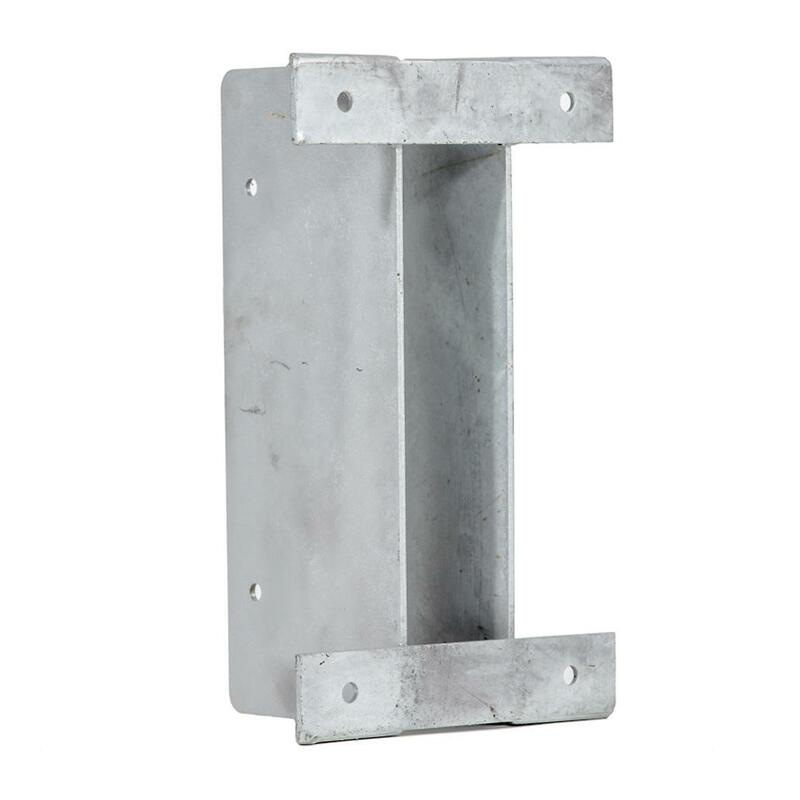 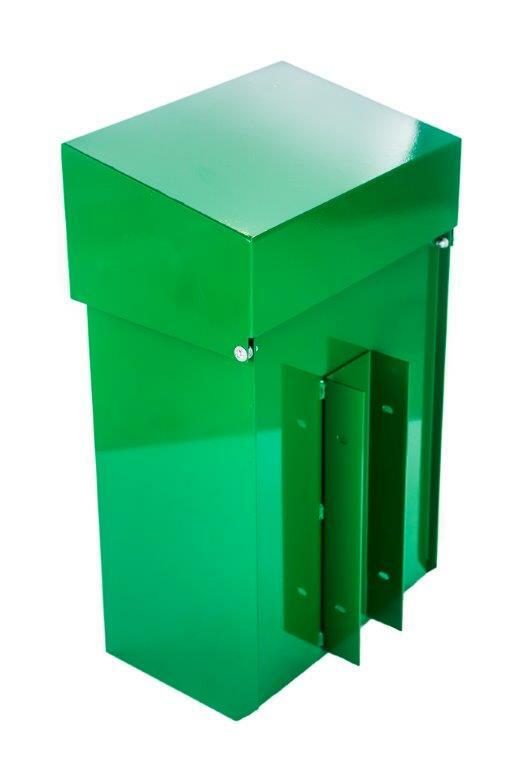 The combination is made of 14 gauge galvanized steel and powder coated with non fading paint (available in green and blue). 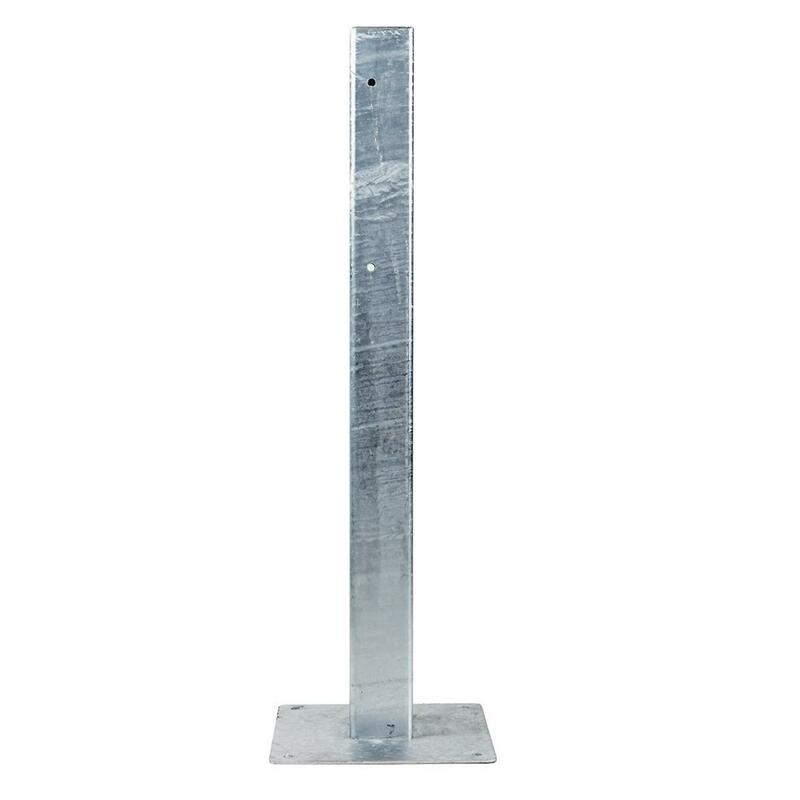 Specification Sheet (PDF, 5.1 MB). 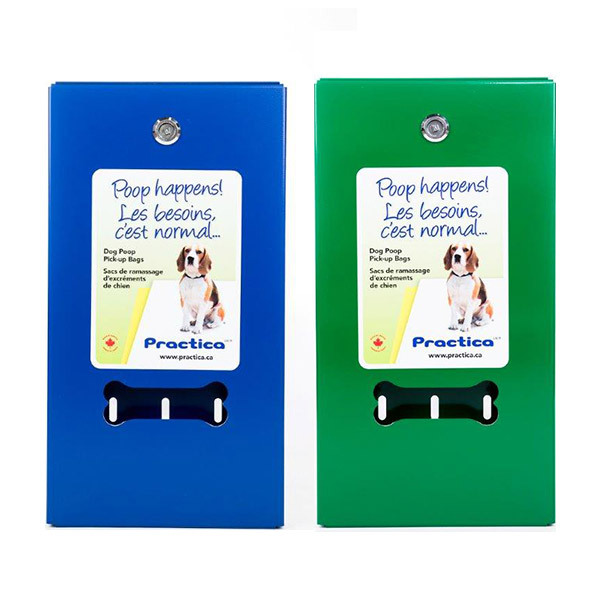 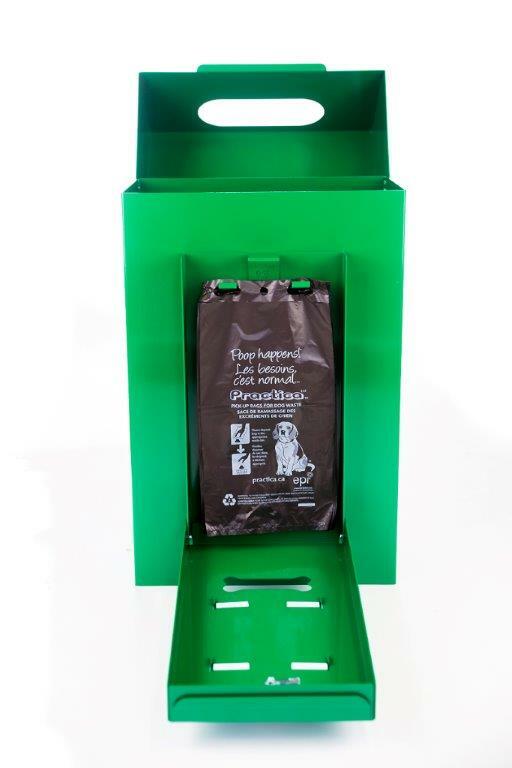 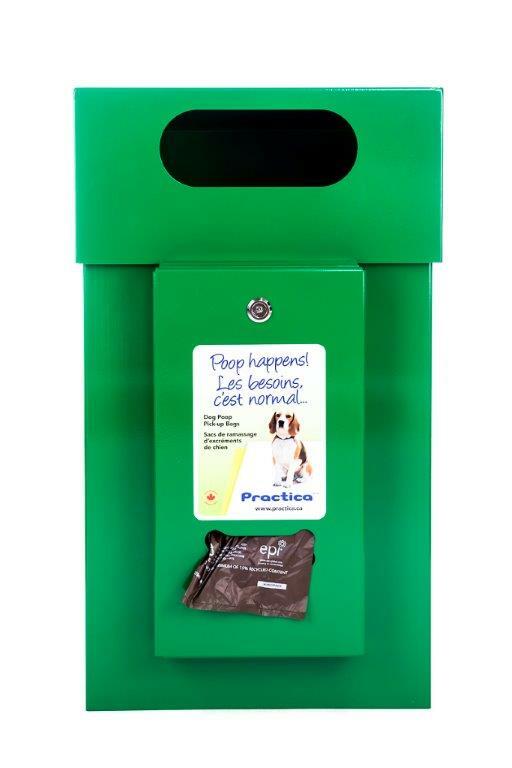 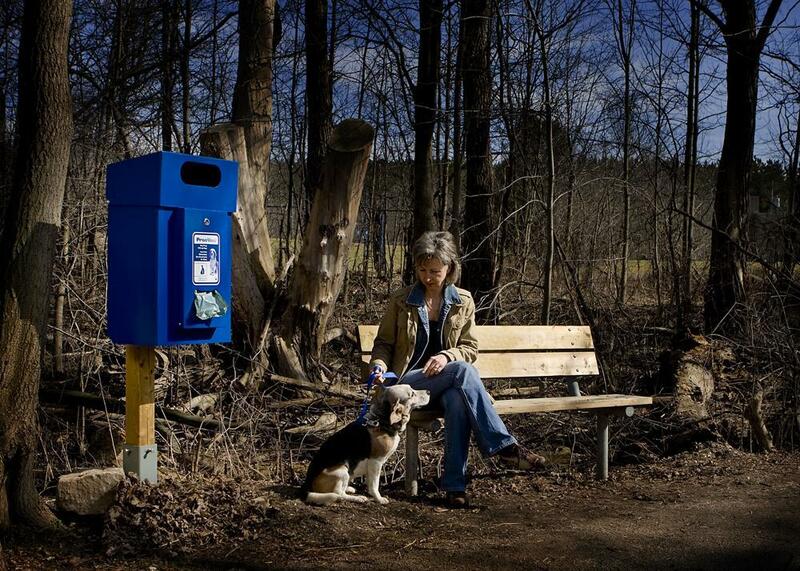 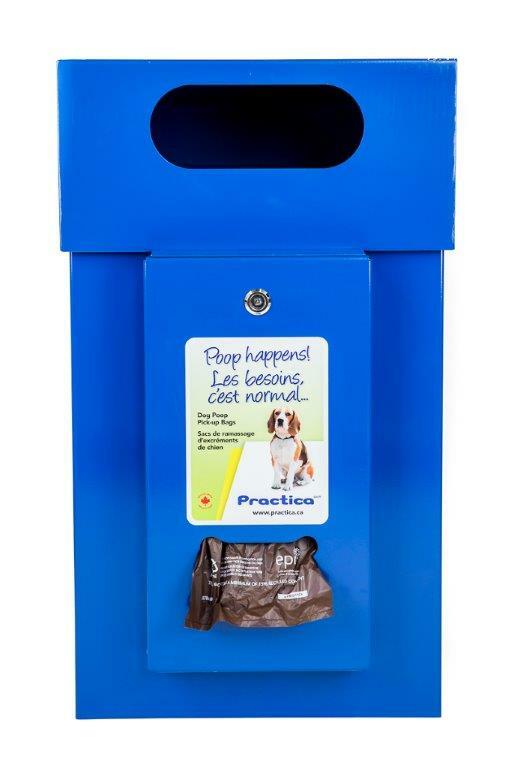 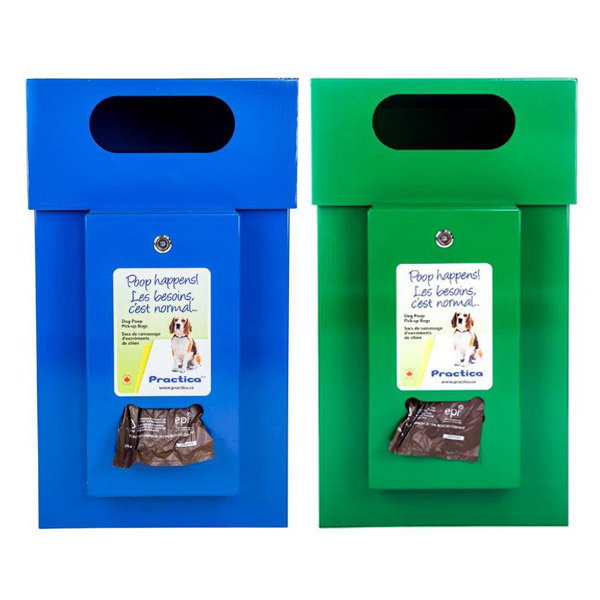 The dual purpose dog waste bin design provides both dispenser and receptacle. 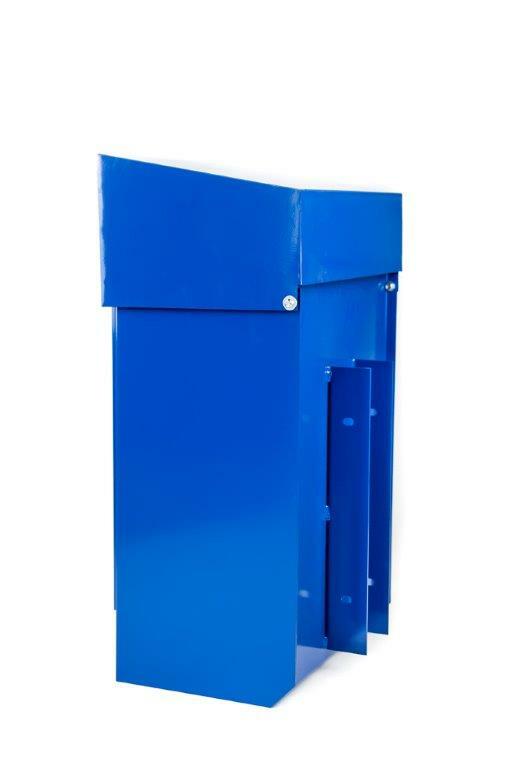 Dog Waste Bin with Dispenser is easy to install on a 4×4 wooden post or with a metal stand bolted to the surface or with a wall mount system. Designed to use a standard household garbage bag (26in x 36in or 66cm x 91cm). 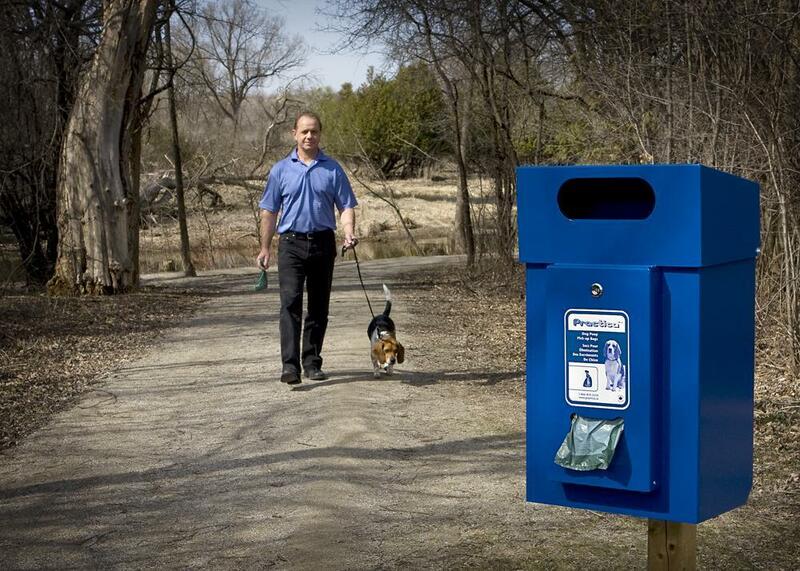 This design decision was made to ensure a manageable weight while servicing the dog waste bin unit.